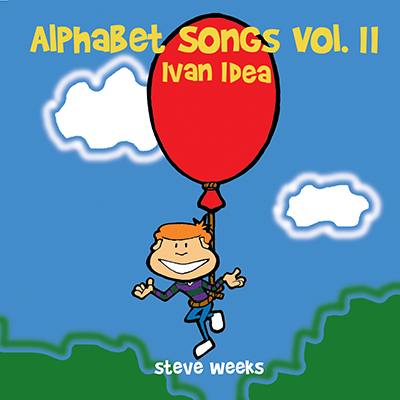 Alphabet Songs Volume II (Ivan Idea) is the second CD in the Alphabet Songs series and is a 2005 Parents Choice Recommended Award Winner and a NAPPA Honors Award winner. It has received regular airplay on radio programs across the country , including XM Kids (XM Satelite Radio Channel 116) where the song "Kiki Kangaroo" reached the #1 spot on their top ten list. Like the first volume, it dedicates a single song to each letter of the alphabet and covers the letters I through Q. The songs are upbeat, catchy, folk-based tunes about the things that are important to kids and their parents.